At The Council, Alina is part of the Outreach team. She manages the production of print communication collaterals, which includes publishing The Council’s prolific research and producing its Annual Report. She also continuously focuses on strengthening brand CEEW. Alina has over 17 years of experience in social communications functions. She led content and strategy at PlanB Communication Partners, a design outfit in New Delhi. She also led the communications function at Naandi Foundation, which included developing and launching the Mahindra Group's first CSR platform (Esops), and writing and producing collaterals for different stakeholders. 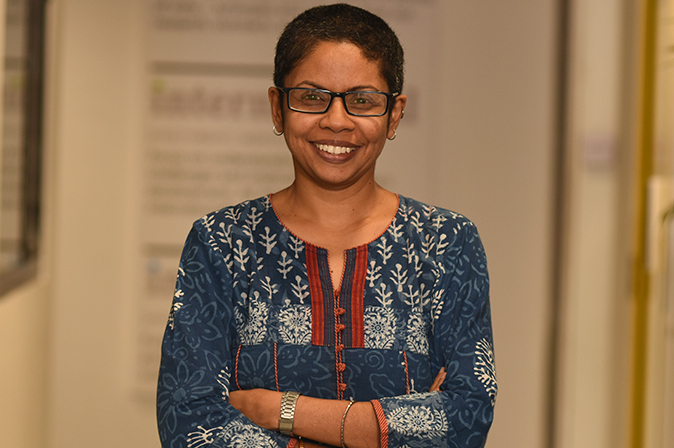 She has worked with The Times of India, Books for Change (ActionAid), Johns Hopkins University, and the Centre for Development Communication (Oxfam) in various content, design, and communication development roles. Alina is an alumna of Sophia College, Mumbai, and holds a Post Graduate Diploma in Social Communications Media (SCM). 3wishes - to time travel. wake up to world peace. live at the old thatch - enid blyton's cottage. Quality is first engineered. Only then is it inspected. Don't be swayed by this cheerful lady. She prompts the author to look inwards, to connect better with the reader.